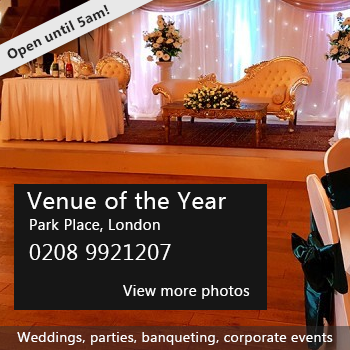 If you're searching for a flexible and versatile venue with the necessary licences, superb transport links and a range of cost effective function rooms then look no further. 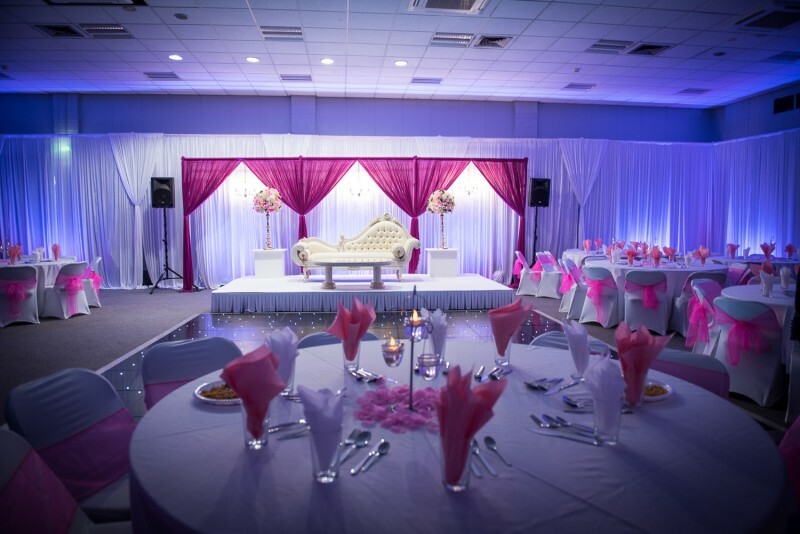 Everyone Events at Harrow Leisure Centre offers both the capacity and class to cater for any occasion. Whether it's a community gathering, corporate meeting, wedding, examination or private party, our team have the knowledge and nous to meet your every requirement. The Masefield Suite is ideal for more intimate events of up to 300 people in a theatre style set-up or 200 guests seated at banquet tables. 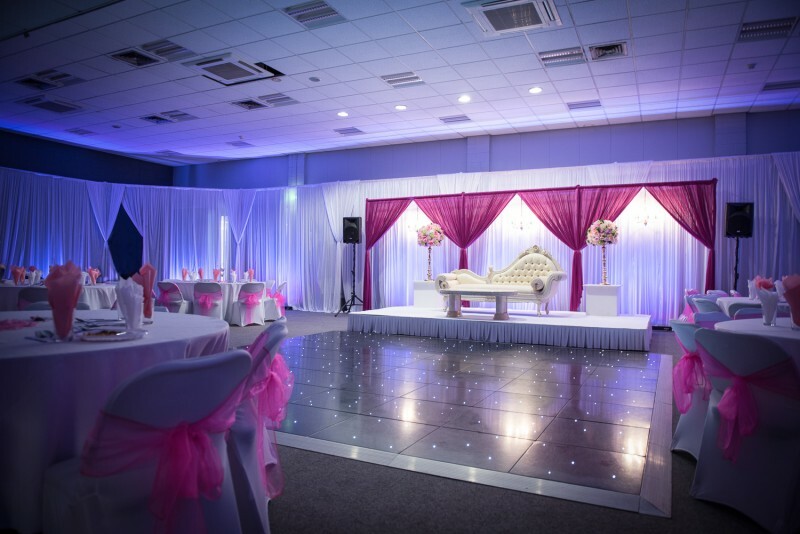 The Suite is licenced for civil ceremonies and is ideal for wedding receptions, engagements, mehndi nights, anniversary celebrations, birthday parties, community activities, business conferences, training sessions and small exhibitions. There's a kitchen, fully licensed bar and 450 space car park. Tables, chairs and a stage are included. We have a trusted network of quality suppliers, including caterers, photographers, videographers, security, DJs, wedding stages, mandaps and themed décor companies. We also understand the importance of giving your event an entirely bespoke feel, so we also offer the opportunity for you to use your own suppliers and provide your own food and drinks if you desire. For more information or to arrange an appointment to visit the Masefield Suite, please call Tamim Duroni on 07730212000 or 02089015980 or email harrowevents@everyoneactive.com. Availability: Monday to Thursday: 6:30 - 23:00 Friday, Saturday, Sunday: 6:30 - Midnight Extensions can be made. Charges apply. NB: Open as normal for events on public holidays. There have been 0 reviews of The Masefield Suite - Harrow Events. If you would like to send The Masefield Suite - Harrow Events a booking enquiry, please fill in the form below and click 'send'. Perhaps some of the following halls within 5 miles of The Masefield Suite - Harrow Events would also be of interest?